As I reflect on how well we’ve done the first six months I realize that my staff has been my most important asset. Each of them brings their own personality, passion and quirks to the hospital and pet resort. We are indeed a family and it is the love for animals that unites us. In this blog I will start introducing our staff to you. They will also be featured on our team page. 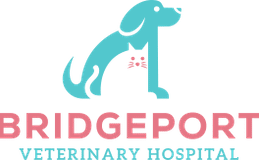 On November 8th 2017 I faced an important zoning hearing to determine whether the Borough was going to permit me to use the building to open a veterinary hospital. My mother was present, my friend Jamie and her family were there but the person whom I most wanted to be there, was 3,721 miles away in the Netherlands. My fiancée had wished me luck over the phone but she could not fly over for the hearing… or so I thought. As my lawyer and I were huddling to strategize, I felt a hand on my shoulder. It was Wendy. She had made a 15-hour trip to support me. This amazing surprise is symbolic of the incredible love that we share and her commitment to this endeavor. Wendy loves ALL animals. She can find “cuteness” in an alligator. Along with keeping me inspired she handles the hospital social media. Jamie, now our practice manager, is a certified veterinary technician who started working for me before we opened. She left a comfortable corporate job because she believed in my vision. When I hired Jamie. I got her family too. Mom is our back up receptionist. Her stepfather leads weekly staff meditation. Brian (husband) is our handyman and Becca (daughter) is our junior kennel assistant/vet tech/veterinarian. Jamie and I knew that we could create a better practice than anything we had seen before. Well before I purchased the building Jamie, Brian and me would sit in her backyard and trade ideas while Becca (who was supposed to be sleeping) chimed in from her bedroom window. Jamie is loyal and keeps calm in any situation. Matt is our kennel lead and he found his calling in an environment where you don’t have to whisper. He’s very passionate about learning about all aspects of veterinary medicine and quickly distinguished himself as a leader. He’s great with both dogs and cats and has a unique ability to work with any animal. He’s excellent at assessing dog behavior and will know quickly how to put any dog at ease. Matt has a good heart, is tremendously loyal and he has an admirable work ethic. Nikki is one of our veterinary technicians. Dentals are her hobby and she loves good music. When Nikki does a dental, the playlist will not be predictable. When Nikki draws blood, the dog or cat will still love her after that because she’s so careful, loving and precise. She’s very thoughtful and always puts the interests of the animals first. She’s always searching for a way to make things better for the patients. Nikki is thorough, innovative and will always put your pet first. Lucky for us veterinary technician Brian missed his calling as a stand-up comedian because he keeps us all entertained. When I first met Brian he told me: ‘I’m always going to be the advocate for the animal, because they can’t speak for themselves’. He loves all animals but has a weak spot for cats. Brian has a patience and compassion for animals that is incredible. He is funny, very skilled and a true animal lover. Shauna, our receptionist, is from Bridgeport and knows everyone in the community. She has been with us from day one and is BVH’s poster girl. Always in a good mood and willing to keep a pup in her lap who needs some extra love after surgery. Shauna has never met a dog that she didn’t love. She loves our clients and they love her. She keeps our operation running smoothly and is a great asset to our clinic. Shauna is compassionate, empathic and friendly. I’m so lucky to work with these people every day. In my next blog I will introduce Jessica, Courtney, and Serena to you!